DURHAM, N.C. — Adrian Bejan, Duke's J.A. Jones Professor of Mechanical Engineering and father of the constructal theory of thermodynamics, will receive the 2018 Benjamin Franklin Medal on April 19. The Franklin Institute Awards have publicly recognized and encouraged outstanding accomplishments in science and technology since the Institute was founded in 1824. 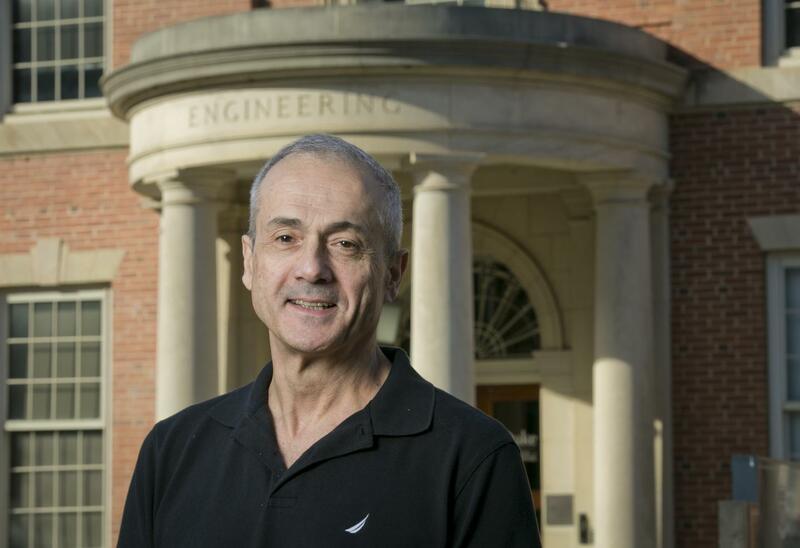 Bejan was cited for "his pioneering interdisciplinary contributions in thermodynamics and convection heat transfer that have improved the performance of engineering systems, and for constructal theory, which predicts natural design and its evolution in engineering, scientific, and social systems." "Duke University finally has its first homegrown Franklin Medal laureate," said Ken Gall, chair of the Department of Mechanical Engineering and Materials Science at Duke. "The Franklin Medal is one of the biggest, oldest and most coveted honors in science in the United States, and is among the highest prizes to which all scientists can aspire, including those from mathematics and engineering. Take, for example, Mandelbrot, Tesla and Edison, who did not receive the Nobel Prize, but were honored with Franklin Medals." Taking place over four days at the Franklin Institute in Philadelphia, Pennsylvania, the awards celebration includes two separate events dedicated to constructal theory, including a workshop sponsored by the National Science Foundation titled "Constructal Theory: After 20 Years of Exploration and What the Future Holds," and a symposium titled "Constructal Theory: What the Future Holds," both hosted by Villanova University. The events will explore Bejan's constructal theory, which he penned in 1996 and states that for a system to survive, it must evolve to increase its access to flow. For example, the human vascular system has evolved to provide blood flow through a network of a few large arteries and many small capillaries. River systems, tree branches and modern highway and road networks show the same forces at work. Bejan has used these insights to explain the natural evolution and design of socioeconomic systems, the vast array of object sizes found throughout the universe, and the modern airplane, among many others. Bejan is one of seven recipients of the prestigious Franklin Institute Awards this year who join a long list of great men and women whose revolutionary discoveries and innovations have significantly transformed our world. These scientists have made enormous strides in their fields, improving the lives of billions of people across the world, and paving the way for a better future. The 2018 recipients join in the Institute's unparalleled history of honoring the greatest minds of the last 194 years, including Nikola Tesla, Marie and Pierre Curie, Thomas Edison, Albert Einstein, Stephen Hawking, Jane Goodall and Bill Gates. To date, 118 Franklin Institute Awards laureates have also been honored with the Nobel Prize, including one in 2017. "The Franklin Institute Awards Program brings to light some of the greatest minds of our time, and they are proudly recognized right here in the birthplace of science and innovation for accomplishments that will transform our world," said Larry Dubinski, President and CEO of The Franklin Institute. The Franklin Institute Awards Ceremony and Dinner on April 19 is the culmination of a week-long sequence of events and programs designed to shine an important spotlight on advancements in science and technology, as well as extraordinary business leadership. In addition to an array of events and symposia throughout the week, public and educational programs are designed to provide direct and unprecedented access to the laureates.